The star is recovering in hospital after another operation, just weeks after he told of a "spectacular" recovery from his cancer treatment. Gibb, 62, has also suffered repeated problems from a twisted bowel, understood to be the cause of his latest hospital spell. However, he is still hoping to attend the London premiere of the Titanic Requiem, which he composed, next month. 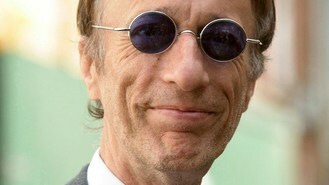 A statement released on the singer's behalf said: "On Sunday 25 March, Robin Gibb underwent further intestinal surgery. He is currently recovering in hospital and therefore, for the time being, all existing commitments prior to the Titanic Requiem concert, have had to be cancelled." Gibb had been due to attend the London launch of a poppy salute for the Bomber Command Memorial Fund. The chart-topping singer underwent surgery for colon cancer after months of ill health. At first his illness was thought to have been due to the hereditary intestinal condition which led to the death of his twin brother Maurice at the age of 52. Speaking about his cancer last month he said: "The prognosis is that it's almost gone and I feel fantastic and really from now on it's just what they could describe as a 'mopping-up' operation." Gibb has been aiming to perform at his symphonic work's live debut on April 10.